Can you guess the correct path to the Musee shaver? 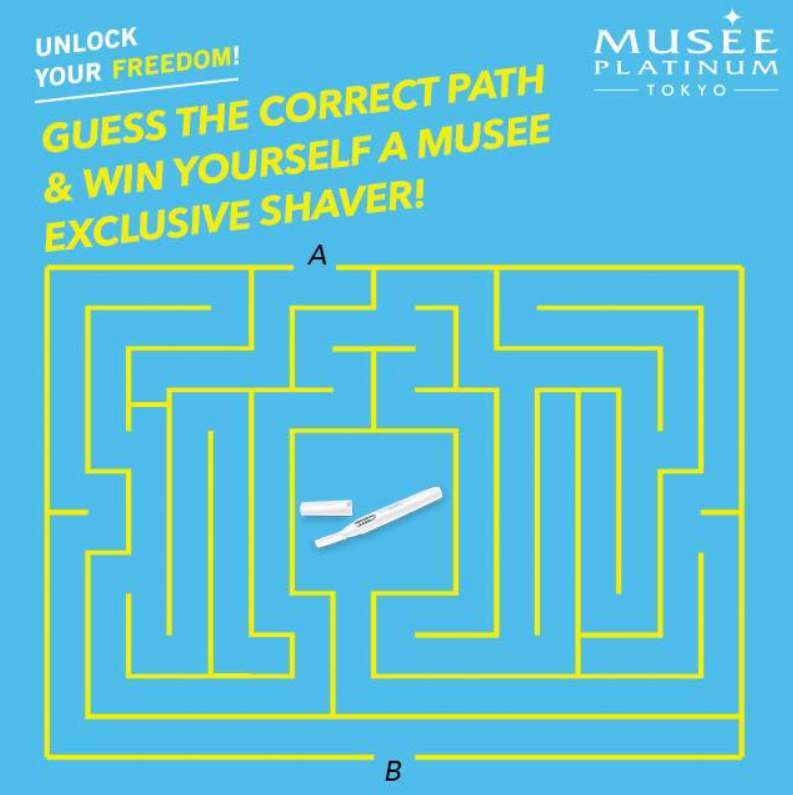 3 lucky fans with the correct answer will win a Musee shaver each! Find out more at Musee Platinum.